It's not an ideal car for Green Bay winters, but this C2 is a cool piece of car and football history. The MVP of the Super Bowl always wins a car, including the very first one. 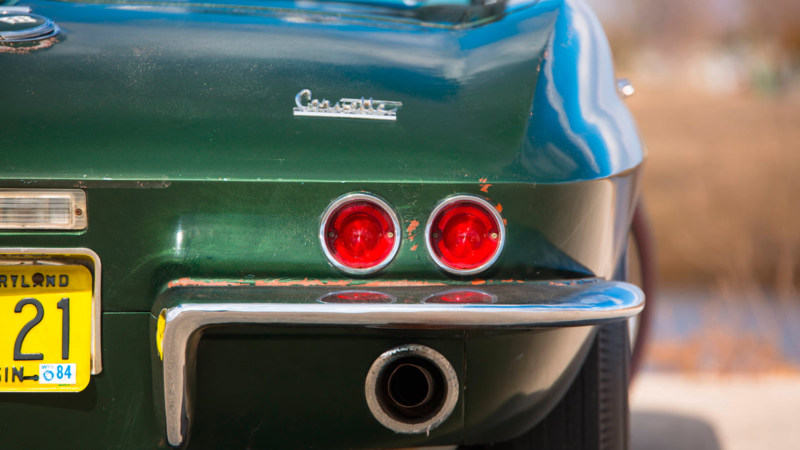 When quarterback Bart Starr led the Green Bay Packers to beat the Kansas City Chiefs in Super Bowl I back in 1967, he was awarded a 1967 Chevrolet Corvette convertible that was very appropriately painted in Goodwood Green. Now that well deserved Corvette is looking for a new owner. This C2 is unrestored with “mostly original” paint. Under the hood lies a 327 V-8 engine rated at 300 horsepower. 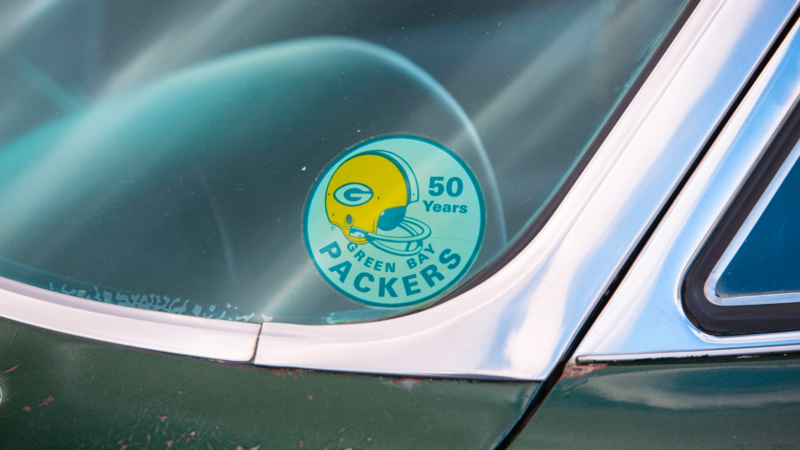 There’s a tank badge that reads “Courtesy Delivery - B. Starr” and a round sticker in the windshield with a Packers helmet that says “50 Years Green Bay Packers” which would make the sticker from 1969. It has 48,000 miles on the clock which are believed to be original. 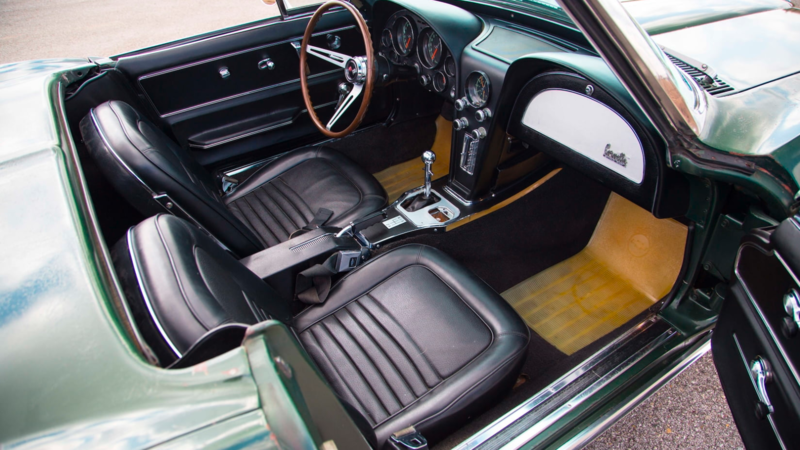 This Corvette was optioned with a Muncie four-speed manual transmission, a 3.36:1 Positraction rear end, a tinted windshield, an AM-FM radio, and a telescopic steering column. The engine and transmission are original and numbers matching. Starr didn’t keep this Corvette for very long. The second owner was a woman from Wausau, Wisconsin who owned the car for 20 years before selling it to Michael Anderson. Anderson is the owner of Thunder Valley Classic Cars in St. Joseph, Minnesota, a shop that specializes in Corvettes. Rather than doing a full restoration, Anderson gave the car an update while retaining most of its originality. He replaced the body mounts, U-joints, seals, bearings, and some suspension components. 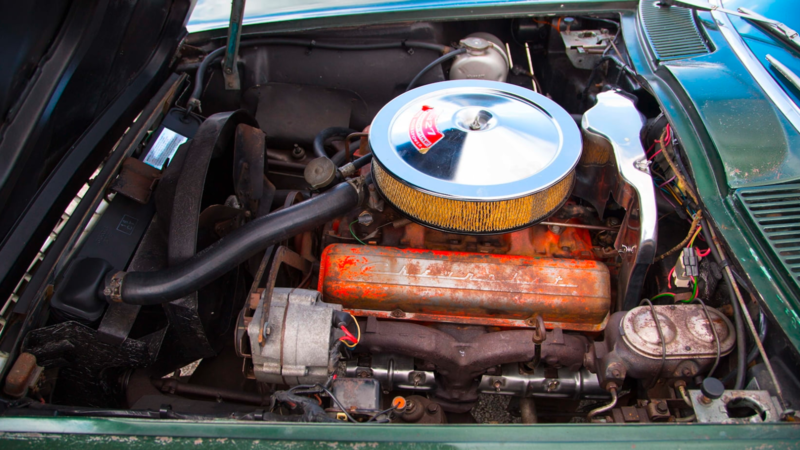 Anderson also overhauled the brake system and installed a new radiator. All of these updates make the car easier to drive and easier to live with without making any big changes to this classic sports car. Starr’s old Corvette will be auctioned by Mecum in Indianapolis May 15-20. Mecum’s website says to “Call for estimate” on the price. If you’re a fan of Corvettes and the Packers, this is a rare chance to own a historic piece of both. 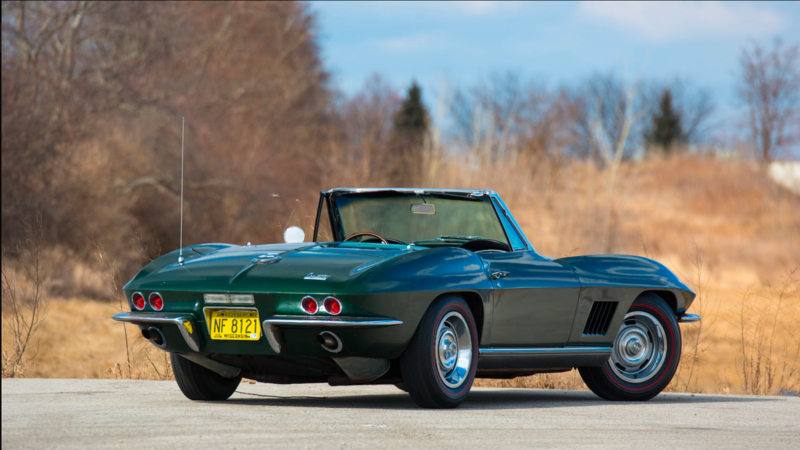 Sixteen coveted Corvettes will be auctioned as a single lot when Mecum rolls into Indianapolis in May. The pros play hard, prank harder.